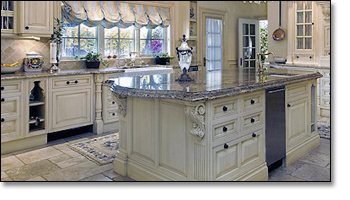 Since 1964 Conestoga Wood Specialties has manufactured the highest quality cabinet doors and wood components for the Kitchen & Bath remodeling customer. From their modest beginnings in a small garage in Lancaster County, PA over fifty years ago, they’ve grown into an industry leader known for dependability in both product performance and on time delivery. 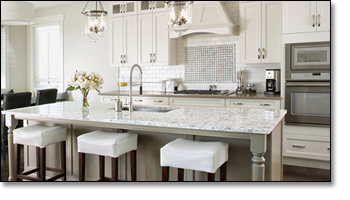 Conestoga remains a family owned business with personnel and production facilities dedicated to servicing our individual customer’s kitchen and bath remodeling projects in the Pittsburgh area. By tailoring our knowledge, efforts and systems to support our customers they can provide maximum response and flexibility with nearly limitless product options Kitchen Innovations. Through continuous refinement of their process and upgrading of equipment they combine the best that technology has to offer with over 1,100 trained and dedicated craftsmen, ensuring that their products will always meet or surpass our customer's expectations. Their own dimension mills employ proprietary wood grading systems which align lumber specifications with market needs, utilizing every board of suitable lumber to the fullest, thereby minimizing the impact to the environment. Conestoga Wood Transportation delivers the vast majority of our custom products on company owned and operated equipment, minimizing freight damage and providing a superior level of on time service at rates typically below commercial carriers. But above all, Conestoga offers a level of dependability that is unsurpassed. 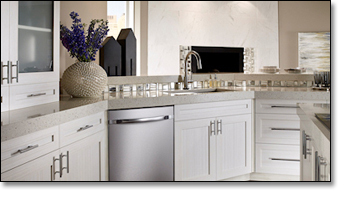 Whether you purchase their doors and cabinets as part of a remodeling project or buy their cabinets directly from Kitchen Innovations, Conestoga is committed to providing the quality kitchen cabinets you need, when you need them, with a company shipping record of over 99% complete and on time, every day. Enduring quality, classic styling and long lasting beauty make these Traditional designs the foundation of unforgettable kitchens. Design simplicity with basic styling creates a truly functional door that is practical and attractive. Defined by extravagant architectural details that include decorative mouldings, deep cut profiles and furniture-inspired refinements. 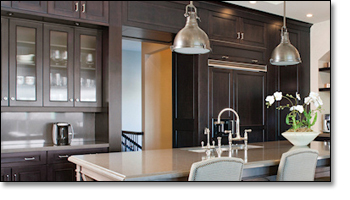 Fashionable design and sleek sophistication are represented by clean, modern-day styling.